Reserve Your Cape May Vacation Now! Now is the Time to Reserve your Cape May, NJ Vacation Rental! Summer will be here before you know it and rentals are filling up quick. Homestead Real Estate has over 250 rental homes in inventory – we are sure we can find something to meet all of your needs. 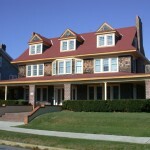 Browse our website www.HomeSteadCapeMay.com or call us toll free today 888-30…9-7454. Next Next post: Get Your Cape May Beach Tags This Week!